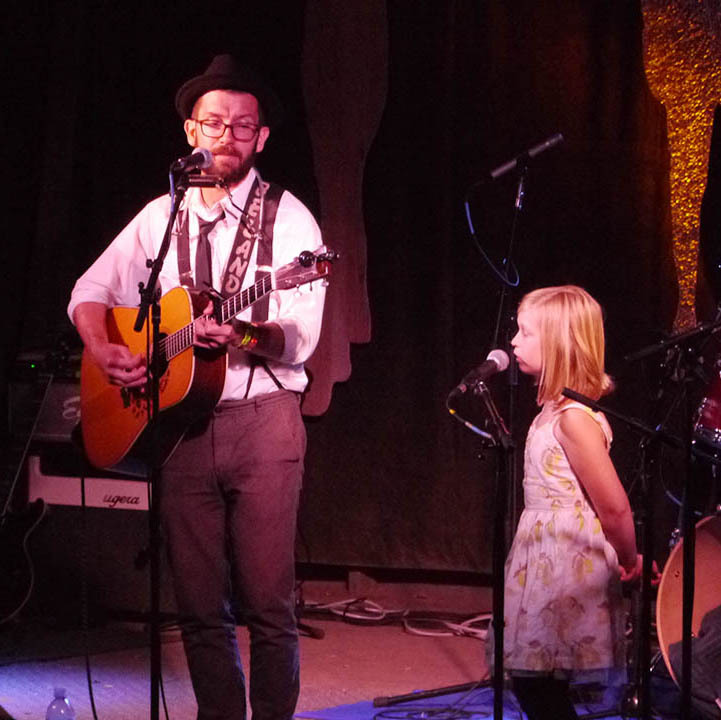 Great harmonies and audience participation make Skeedaddle a true joy to see. Drawing on songs from the family entertainment playbook (Raffi, Peter Paul and Mary, as well as original songs) their fast-paced shows are fun for the whole family. The musicianship of band members Laura Green (guitar, vocals), Richard Inman (banjo, fiddle, vocals) and Hoxie Green (guitar, flute, percussion, vocals) ensure that anyone who has the pleasure of going to a Skeedaddle show will be enchanted and entertained. Something Ridiculous has performed on The Gong Show, at halftime for the LA Lakers, on cruise ships around the globe, and at fairs large and small. They've been featured on ESPN's SportsCenter and in a nationwide commercial... Over the last eight years, they have watched as a colony of young “acorns” have transformed from enthusiastic fans into avid unicyclists and jugglers themselves, joining them in local parades and weekend rides and inspiring others as they make these circus arts their own. Don't miss the return of Something Ridiculous at this year's festival. Free pizza, popcorn, poker, ping pong, and even Bocce Ball! Have fun with hula hoops! Look for the colored flags and hay bale circle. Tryouts will be held 2:30 - 4pm on Friday & Saturday at the Children’s Stage. The Show will begin at 2:45pm on Sunday at Hotlicks. Host, Don Norton! Tim Costa, 500 RYT, has been trained through the Shivananda lineage and has been teaching for four years in Morro Bay and Los Osos. Tim incorporates Hatha Yoga, gentle movements and breathing exercises for every body. Tim loves to incorporate Nada Yoga, the Yoga of Sound, in all his classes with singing bowls and other instruments. His classes at Live Oak Festival will be accompanied by musicians Justin Perkins and Johnee Gange. Calling all singers and players! Join our band and you can be a part of the Talent Show! John’s workshops will guide the group through song selection, practice, and finally the performance on Sunday. Open to any children from beginners to experienced musicians. We’ll meet on Friday and Saturday 2:30 – 4:00 pm at the Children’s Stage. Michael and Roger are teaching sushi making twice a day on Saturday and Sunday. families learn to make a veggie sushi roll. This is a 45 minute workshop held in the kid's camp. Cost is $15. Endless creativity in the family craft area! At the San Luis Obispo Botanical Garden, it’s always ‘Happy Hour,’ but this Live Oak we invite you to enjoy a docent-led BYOB tour of the Garden. Drink in hardy horticulture, herbal history, and helpful hints at this one hour jaunt through the Garden. Meet at the Festival’s Art Walk located at the Garden’s Gift Shop on Friday at 5:00 PM, Saturday at 3:30 PM, and/or Sunday 2:00 PM. Suggested donation: $5. Pre-registration and payment appreciated. Register here. Peace, Love and Dirt y’all. We’re passionate about connecting people with the plants that have shaped human endeavors and cultures for generations. Our Preview Garden is a great place to see the exquisite plant life of the five major Mediterranean climate zones while our nursery sells these same beautiful, drought tolerant plants. The Garden will host the Live Oak Art Walk & Open Mic Stage over the three day festival weekend. Come find curated, one of a kind pieces from artisans or show off your own musical abilities among the beauty of our native gardens. The Faerie Garden is for imaginative play and storytelling with Zette Harbour. Twinkle lights, faeries and gnomes await the arrival of children to the garden. Write a message and tuck it in a handmade leaf envelope sprinkled with faerie dust for the gnomes and faeries to find under the oaks! 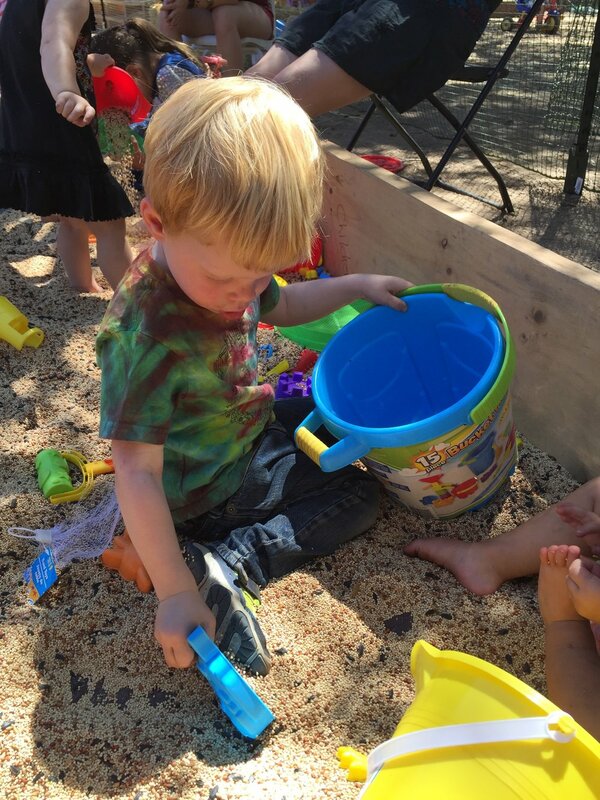 This year we are expanding the Toddler Oasis for our littlest acorn Oakies to include toys, crafts, dress-up clothes, a napping tent and changing table. Our popular birdseed box, lounging Adirondacks for parents and high chairs for the babies! Seasons Path, www.seasonspath.org, provides preschool and homeschool programs and support for families teaching and learning nonviolent communication and healthy emotional development in an organic nature based program.